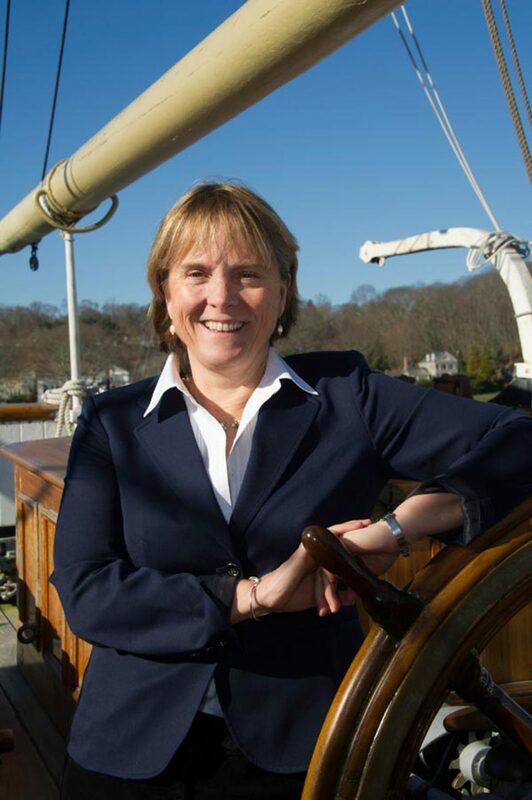 The New England Museum Association has elected Susan Funk, executive vice president of Mystic Seaport, as president of its board of directors. The election was held at the organization’s 2013 annual meeting on Nov.15 as part of the group’s 95th annual conference in Newport, R.I.
Funk oversees and coordinates the activities of the museum’s Education, Exhibitions, Maritime Studies, Curatorial, Watercraft, Human Resources and Visitor Services departments. She is responsible for operational and strategic planning, program evaluation and participation in trustee committees, and the management of all museum functions associated with the Mystic Seaport visitor experience. Funk coordinated Mystic Seaport’s successful accreditation self-study for the Association of American Museums in 2004-05. She is active in the field, serving on the NEMA board and regularly serving as an AAM Museum Assessment Program reviewer and on accreditation site committees. In July 2005 she participated in the Getty Institute’s prestigious Museum Leadership Institute. "Susan&apos;s new role with NEMA validates her leadership in the field and underscores how fortunate Mystic Seaport is to have had her on the staff all these years," said Steve White, president of Mystic Seaport. Funk most recently joined the museum in 1994. In total, she has been employed at Mystic Seaport for 25 years. Funk was elected unanimously by more than 400 NEMA members in attendance. She is eligible to serve two one-year terms as president under the organization’s bylaws.